There are two kinds of people: the kind who start decorating for Christmas on November 1, and the kind that embrace the beautiful fall season and decorate with bright yellows, golds and oranges before busting out the red, green and glitter for Christmas. If you’re the latter, you’re in luck! Here are some Thanksgiving décor ideas for the upcoming holiday. Think about what your Thanksgiving is shaping up to be. Are you hosting? If so, consider some of these creative indoor décor ideas. If you’re not hosting, you can probably skip down to the outdoor section to focus on spreading that Thanksgiving holiday cheer to everyone who drives by your home! Get creative with your table centerpieces. 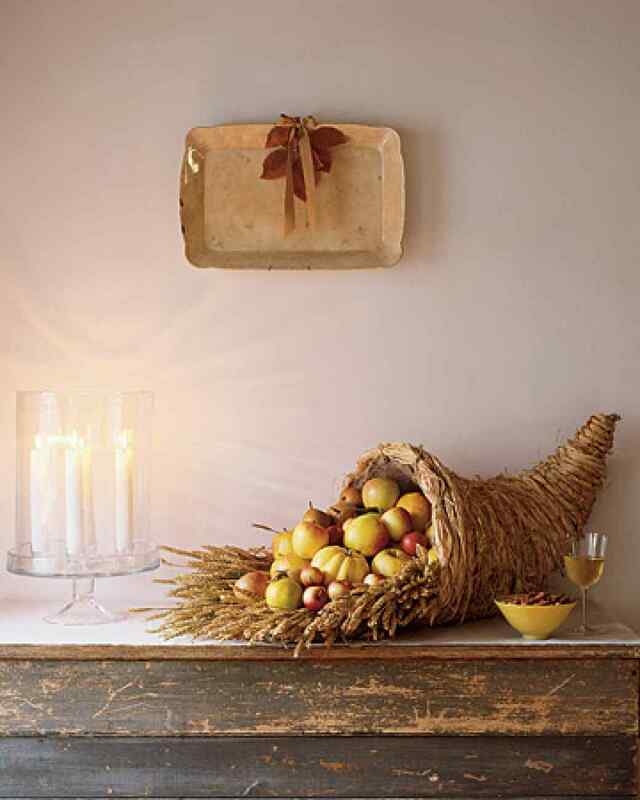 Centerpieces are another easy way to warm up your indoor space for Thanksgiving. 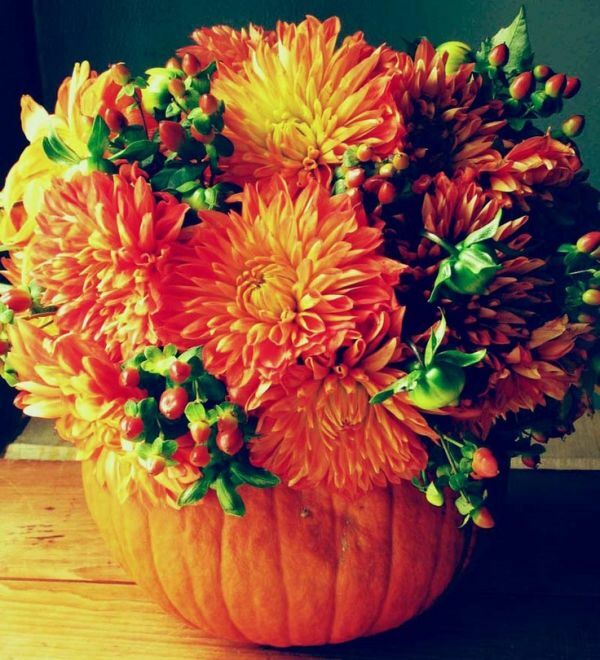 Whether it’s your dining room table or kitchen table, you can easily set the Thanksgiving mood with one of these. And, you can probably find what you need for beautiful centerpiece at the grocery store. A great example is a pumpkin vase with fall flowers. Stage a cornucopia. Cliché? No way! This is a classic. It’s a universal symbol of bounty and a great outdoor decoration for Thanksgiving. For this, you’ll need to pick up the cornucopia baskets, which can be a little difficult to find. They are available on Amazon and JoAnn Fabric and Craft Stores. To fill it, gather together dried wheat stalks and fruits and vegetables of the season – apples, pears, squash. 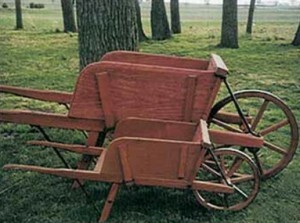 You can put it on your front porch by the door, on your patio furniture if it’s still outside or on a picnic table. Use an empty wheel barrow for a front yard display. This approach is great if you have a front yard where you can place a larger display. Wheel barrows provide a lot of space to work with, so you can fill them with colorful leaves, pumpkins, large gourds, cornstalks, mums and vines. There’s just a few weeks left to get in the Thanksgiving spirit! 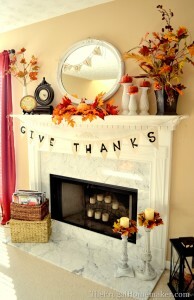 Head over to fifthroom.com to see if there’s anything that will fit in your home for this Thanksgiving, or give one of our Project Advisors a call to brainstorm holiday gifts ideas for your loved ones – 1-888-293-2339.